A neat and well-maintained garden can be a treat to the eyes. It can enhance the curb appeal of your home and also ensure your plants, shrubs and trees are shaped neatly and make your garden look shady and inviting. A well maintained tree can be an escape from the harsh sunshine and a great place to lay out a blanket or hammock and have a nap or read your favorite book while sipping iced lemonade. That is why trimming is such an important job that many homes and offices neglect. Unlimited Landscape Hawaii LLC offers trimming services that can transform the appearance of your home. We have been servicing Hawaii for several years and are sought-after for pruning and maintaining trees, shrubs and plants. Many homeowners wonder whether a professional is required for something as simple as pruning. The answer is yes. You will not know how and where to cut a branch and if done incorrectly, it could mar the look of the tree or shrub and make your garden look untidy. When you hire a professional, we know exactly where to make the cuts, so that no damage is inflicted on the tree or plant. We keep the beauty of the tree intact and with regular pruning; you will find the health of the tree improving. Did you know pruning can promote growth and increase the life of trees? With our services, you never have to worry about an unruly branch hanging into your neighbor’s property or providing squirrels access to your attic and roof. Our trimming services are not just cutting off an errant branch. We take great pains in shaping the entire tree and ensuring it looks great from all angles. We also take care that the pruned tree’s shape is in harmony with the landscaping of your yard. 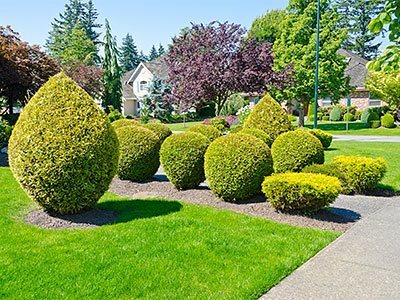 Besides tree trimming services, we also can add edging to your flowerbeds, lawn and walkways in the garden to beautify your outdoor living space and increase its curb appeal. We offer a wide array of edging, right from plants and shrubs to pavers. You can tell us what you want and we will be able to install it. When it comes to landscape design, we are experts in it. We often offer suggestions and recommendations to our clients when we are trimming trees. We leave it up to them to decide whether they want to take up our suggestions. We ensure every aspect of your yard is in harmony, down to the last blade of grass. This is what makes our services so unique and different. 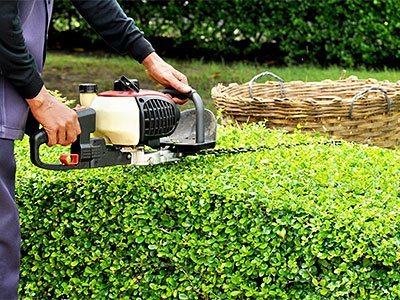 If you are looking for professional trimming services, call Unlimited Landscape Hawaii LLC today. We can get in touch with us on 808-726-9495 or visit our offices at 1723 Glen Avenue, Wahiawa, Hawaii and we would be happy to address your queries and doubts and also offer suggestions. Besides Wahiawa, we service many other parts of Hawaii, including Kahala, Kaneohe, Makakilo and Hawaii Kai. Our services are prompt, reliable and affordable.